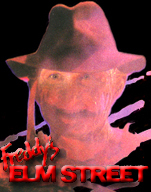 Contains Widescreen Versions Of Nightmares 1-7, An Extra Disc Of Bonus Material, 3D Glasses For Freddy's Dead Ending, & Collectors Booklet. 01. Cast & Crew Bios from Original Press Kit. 01. Interviews With Cast Members, All Of The Directors And The Production Design Team. Contains Widescreen Versions Of Nightmares 1-5 & Collectors Booklet. 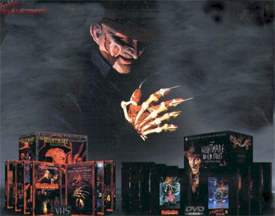 Contains Widescreen Versions Of Nightmares 1-7 & Collectors Booklet.